The film is very much in the style of UK director/writer Arnold’s previous work (Wuthering Heights; Wasp). This time it’s a road trip set in the USA, but featuring the same gritty realism of teenage sexuality as her earlier work and combining with the fine cinematography of Robbie Ryan. 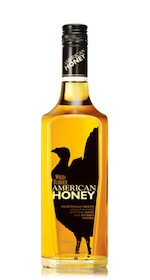 Subtle American influences on Arnold’s transatlantic work include the title – taken from a song by US Country trio Lady Antebellum and, given the lifestyle of the protagonists, the whisky brand.